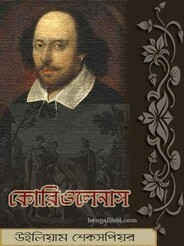 William Shakespeare was a renowned English poet and playwright. He is the best writer of English language forever and it is considered one of the best dramatists in the world. He is the legend of English literature and one of the pioneers of modern English language transformation. He wrote at least 38 plays, now I want to share another famous ancient drama book- 'The Two Gentlemen of Verona' in pdf file. I've shared already, 'The Two Gentlemen of Verona', 'The Tempest', 'Hamlet', 'The Merchant of Venice', 'Romeo and Juliet' in this blog. Readers can get these pdfs by clicking on the book name, if you want. Today's sharable drama book- 'Coriolanus' is a Shakespearean tragedy created by William Shakespeare. The basis of this play written about, legendary Roman leader Gayes Marcus Coriolanus biography in 1608.